I couldn't he happier about this. I noted repeatedly in my reviews of the current Justice League book that Jim Lee and Geoff Johns - while both talented creators - don't play off of each others strengths very well. 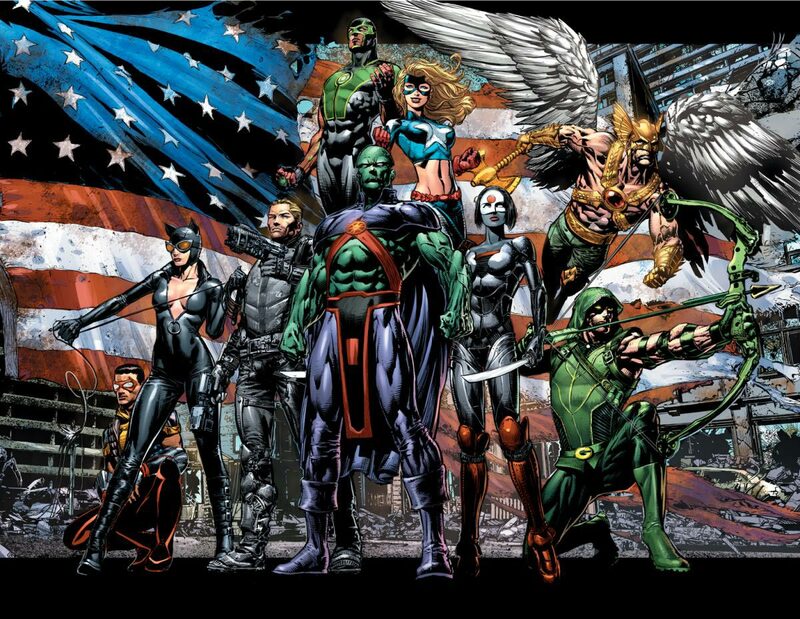 Johns has always been at his best focusing on the hidden depths of an ensemble cast (JSA, Teen Titans, Avengers) and Lee is at his best when he's allowed to depict big action scenes with larger than life characters. I can see there will be some accusations of trying to ape The Avengers movie. You have a guy with a bow, a woman with no powers in a leather catsuit and the whole thing is led by a career military man who believes in the idea of superheroes being needed to face the threats the military can't deal with. And no doubt the Geoff Johns haters will scream about him playing favorites by bringing back Stargirl. The fact of the matter is this has to have been in the works for a while. Saying that Green Arrow and Catwoman are the same as Hawkeye and Black Widow is to do a disservice to all four characters. And Stargirl was a great character, one of Johns' finest creations and we need all the strong, moral, competent female heroes we can get in American comics these days. Besides... I don't think it's Justice League without Martian Manhunter. And I'd like to see Johns do something with Green Arrow because Heaven knows nobody else seems to know what to do with him! Ditto that for Hawkman. And the cynic in me just wants to see if someone can make Vibe work beyond a one-note stereotype in the same way that the recent DC Nation short did. I suspect if anyone can it's Geoff Johns.